The heave compensation system is a proprietary system developed in partnership with Bosch Rexroth. It can be easily installed into any SDC Sonic Drill. 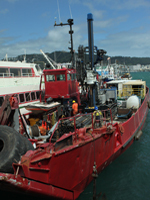 The heave compensation system is specifically intended for lifting and lowering of drill string loads in rough seas. 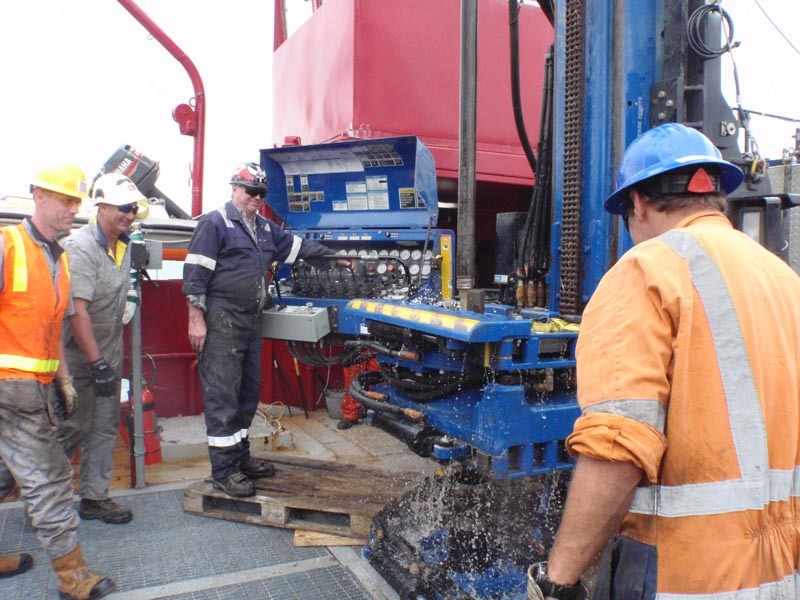 The system decreases the influence of the heave of a drilling vessel on the drill bit. 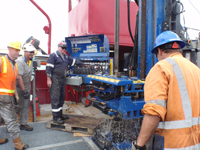 Compensation systems are very commonly used onboard drill ships and semi-submersible drill rigs. 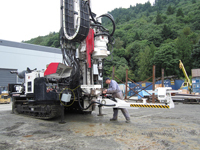 The operator will activate the system only while drilling & while the drill head is sitting in a neutral position with a drill string connected to the drive adapter. The heave compensation system cannot be used during make-up and breakout. 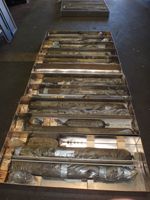 Some clients elect to attach a 3rd hydraulic breakout clamp onto the vessels moon pool for holding the outer casing. The heave compensation system is a limited system which works off the existing feed circuit. 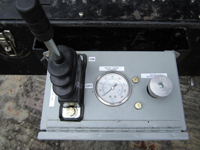 Activating a toggle switch on the main control console will activate a separate feed control lever and relief valve located in a small enclosure at the front of the main console. The operator must adjust the feed control lever and the relief valve at the same time which will compensate the feed pressure based on the amount of tooling weight hanging off the drill head. The heave compensation system will not automatically adjust itself. It is the operator's responsibility to make adjustments to the controls which best suit the changing ocean conditions and/or tooling weights. The drill string weight must not exceed the systems hold back capacity. 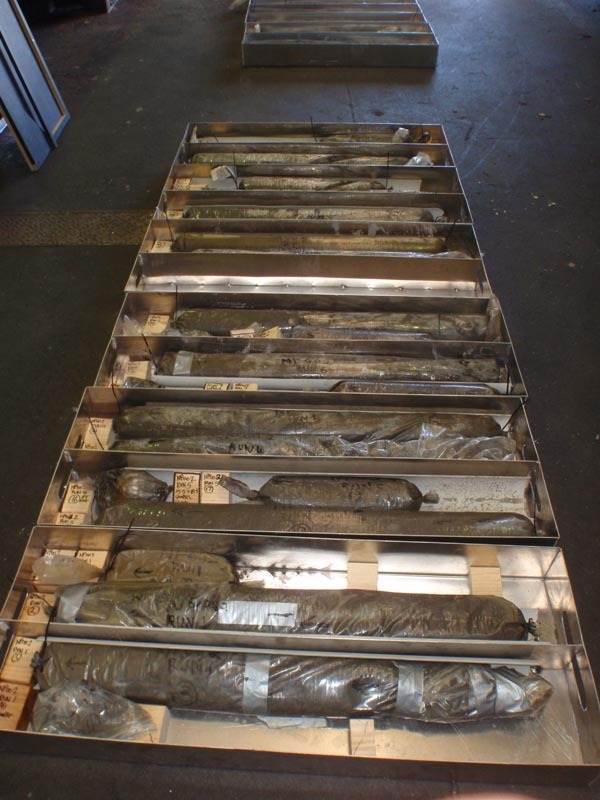 SDC has incorporated numerous Heave Compensation Systems for off shore drilling exploration projects. Contact Sales for more information.